Dream big for your retirement...and plan smart so you can live it. The retirement planning process starts with discovering what you want from retirement. Once you have clear goals in mind, it becomes possible to follow a strategic process that lays out simple, straightforward steps to reach them. Before you start planning your portfolio, it’s best to know what you want your life to look like and what you want your money to do for you. Then, a trusted financial adviser can help you define what needs to be done to get there. When planning your retirement, it’s important to take a systematic and thorough approach. Advance Capital Management uses a five step proven process that methodically takes you through the most important phases of retirement planning. Most people think they need to dive immediately into the financial planning process, but without a clear picture of where you want to be in retirement, it’s hard to create a plan to get there. Taking the time to think about your dream retirement lifestyle is vital because planning your financial future depends on this vision. Before planning it’s important to take stock of where you are with your financial life. At the end of this process, you should know exactly where you stand and you’ll be able to start financial planning with confidence. 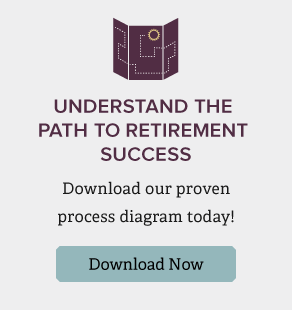 Creating a retirement plan is a complex and in-depth process. Using research-driven advice, our advisers collaborate with you to create a comprehensive financial plan that is tailored to your specific needs. During the monitoring phase, your adviser will continuously monitor your investment performance and make adjustments as needed to help keep your plan on track. Advance Capital Management will manage your retirement income and ensure that you receive your retirement paycheck on a monthly basis. We’ll also work with you to ensure that you’re withdrawing at a rate that will sustain you for the remainder of your life. With a legacy of retirement planning experience, we have the expertise, integrity and trustworthiness to provide prudent financial planning strategies to help you reap the benefits from your hard work.